The end of the year has sneaked up on everyone at halow, and before we know it we’ve been saying our congratulations, and some goodbyes, too soon! The Building Futures Awards Ceremony is an opportunity to celebrate the achievements of the young people at halow. Meeting at the Guildford Golf Club, family, friends and members of halow attended to look back on the incredible year. Building Futures is tailored to the ambitions of the young people we work with, which will vary year from year, this year being the first we have had three groups. The evening kicked off with everyone receiving their individual certificates and a presentation on all that they have accomplished at Building Futures. The pride from the young people at halow was incredible as we reflected where they were this time last year, in comparison to where they are now. Year a, the entry group into the Building Futures programme, have had a year of taking on new challenges many have never experienced before. From group work experience and travel tips to climbing adventures and cooking skills, Year A is an introduction to new experiences and confidence building so they can move on of Year B. To put in to practise all the amazing things they have learnt, at the end of the year the group spent a night in a canal boat, which included maintenance of the boat, sailing it through barges and planning and cooking their meals together. It was a fantastic way to end their first year and provide loads of ambition for what’s to come after summer! Year B, the largest group in Building Futures, have moved on to new and more challenging experiences this year. Work experience placements vary from retail experience in Waitrose to maintenance in Surrey Sports Park, and their activities have included tree top adventures and sailing! The end-of-year task is much more strenuous, as they complete the Duke of Edinburgh Expedition Bronze Award, which involves two days of tracking and an overnight camp in the wilderness. Even though this took part on some of the hottest days this year, everyone powered through the weekend with enthusiasm and motivation! Year C, the final group and newest addition to Building Futures, take independence to a new level. With fortnightly work skills sessions and activities that encourage them to push themselves, Year C plan what lies ahead after halow, whether that’s moving in with friends or finding permanent employment. The end of this year also saw Year C complete their Duke of Edinburgh Expedition Silver Award! 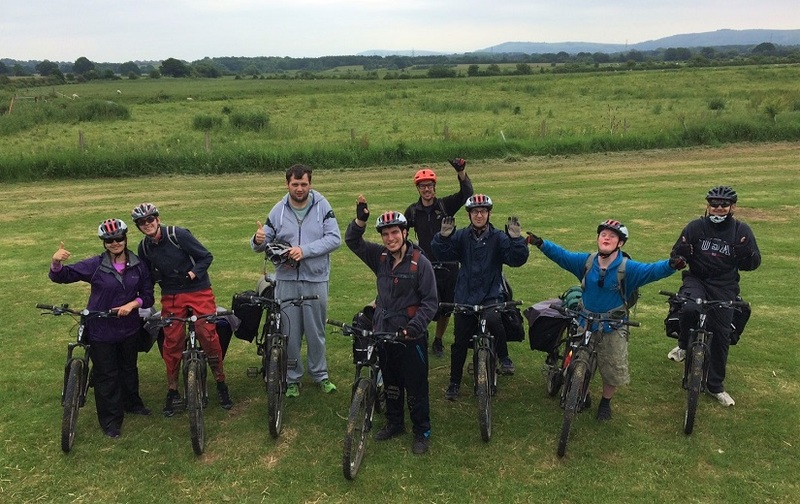 Their silver award included to nights camping, which they planned and prepared for themselves, and three days’ worth of cycling! We want to give a huge well done to the amazing young people in our Building Futures Group. With determination and teamwork, they have accomplished amazing things, and sure to continue to strive next year!